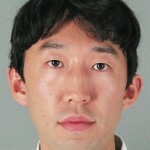 REDWOOD CITY — Yoshiaki Nagaya, 33, vice consul at the Japanese Consulate in San Francisco, has been sentenced to one year in jail for domestic abuse. Nagaya, who lives in San Bruno, was arrested in March 2012 and charged with more than a dozen counts of domestic violence for injuring his wife, Yuka, in a series of incidents going back more than a year. Yuka Nagaya, who took photos to document her injuries, said that her husband stabbed her in the hand with a miniature screwdriver, hit her on the head with a laptop, and threw her from a parked car, among other allegations. Yoshiaki Nagaya originally faced 17 felony counts, but the number was reduced after a preliminary hearing. In a deal reached with prosecutors in December, Yoshiaki Nagaya pleaded no contest to two counts. The sentence was handed down on Monday by San Mateo County Superior Court Judge Craig Parsons. Deputy District Attorney Tricia Povah told The Rafu Shimpo, “The defendant was sentenced to one year county jail, on which he will serve approximately six months. This was the max under the terms of the proposed plea agreement contemplated at the pre-trial conference. The defense asked for 90 days, I asked for a full year. Other conditions include no contact with the victim, fines and fees, and genetic marker testing. Nagaya must surrender to authorities on May 4. His wife is in Japan and did not attend the proceedings. Nagaya’s defense attorney, Garrick Lew, has said that the couple was in a bad marriage and often engaged in “mutual combat.” He also said there were inconsistencies between Yuka Nagaya’s statements to police and her testimony in court. Yoshiaki Nagaya has continued to work at the consulate, which serves Northern California and Nevada, and is listed on its website as a contact person for events held in Silicon Valley.